At Elan Optical we pride ourselves in being on top of current fashion styles and brands. 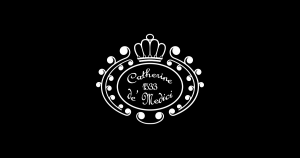 We currently want to introduce to a new line by Catherine De Medici based out of Italy. The line illustrates female empowerment. Catherine De Medici was the renowned queen of France who invented the high heels. She revolutionized the female universe by introducing accessories like heels, perfumes, corsets etc. The lines eyewear celebrates audacity and avant-garde fashion. Its a mixture of classic and modern fashion.